The Prayer Book Tradition— A place to belong, a Faith to believe, and a Rule of life and worship. our second Annual Conference and and are now even beginning to plan the next one from 14-16th February 2019 in Savannah so please save the date! an expanding archive of past editions of the Anglican Way and the writings of the Revd. Dr. Peter Toon the former President of the Society. All this has taken major investment, so there could be no better time to donate in support of our future work ! 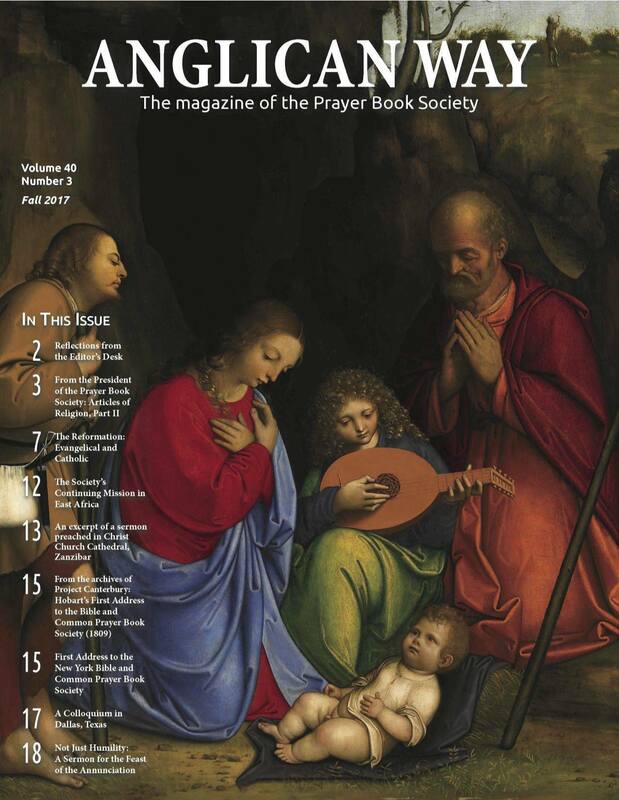 The Society exists to promote Anglican belief and worship as expressed in the Common Prayer tradition and Angli­can formularies since the first Book of Common Prayer of 1549, in the Church of England, and on through the 1928 Prayer Book down to the present day: worship is at the heart of Chris­tianity and the Common Prayer tradition is at the heart of Anglican worship. You portable Daily office, it goes everywhere you go. Please express your support for the work of the Society by making a financial contribution which will be greatly valued. Receive our theological and liturgical resources de­signed to help strengthen both personal faith and parish life within the wider whole of our Anglican tradition. Support the renewal of cla­ssical Anglicanism with its profound theology, commitment to spirituality and worship of God in the beauty of holiness in the Prayer Books.